How does the GPS tour work? Q: How does the GPS tour work? A: The GPS-guided system triggers our pre-recorded tour precisely at the right place. This means every story is told beautifully. And youll be amazed by the digital sound quality. 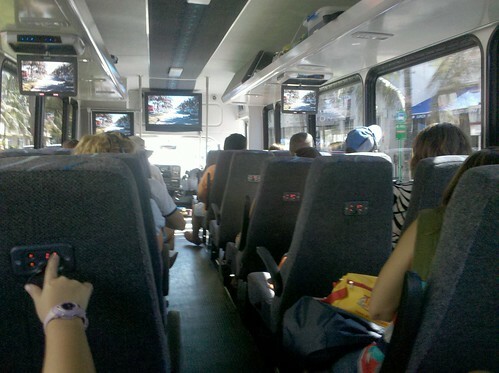 Miami Tour Company is the only tour company in Florida to offer this type of exceptional technology. The English commentary is broadcast on the bus from a high-performance sound system. 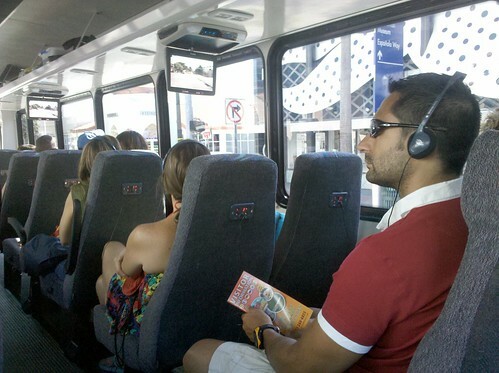 Headphones are available to passengers who are hard of hearing, or wish to hear the tour in another language. For a more personal experience, you may bring your own headphones. Along the route, the tour commentary is preceded by flashing seat-back controllers that prompt you. The controllers also allow you to select a language and adjust the volume. Step 1 - Insert the headphone cable into the socket. Step 2 - Using the button on the right, select your preferred language. Step 3 - Using the button on the left, long press up and down to adjust the volume. Adjusting the controls is so easy, even a kid can do it! 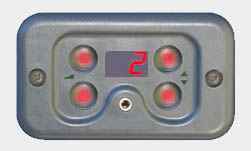 The tour system consists of a central unit to which the GPS antennae and drivers control panel are connected. The tour commentary and music are then converted to a high quality digital audio signal. The signal is then transmitted to overhead speakers and seat-back passenger controls, giving passengers a crystal clear audio experience.